Bar food and your subway fare, of course. New York is the kind of city where you could accidentally spend your life savings before lunchtime if you’re not careful. But on the flipside, so many of NYC’s most exciting attractions don’t cost a cent. In fact, you can see most of them in just one satisfyingly cheap day if you’re prepared to put your walking shoes on – the only cost will be your subway fare (and an obligatory pretzel, because come on). This fine-tuned route through the city will leave your legs feeling like jelly but your wallet almost untouched – and your camera roll packed with so many great pics you won’t know which to ‘gram first. Every ‘budget-conscious’ (ahem, tight-arse) traveller knows parks are the best way to enjoy a city on the cheap, and Central Park is easily one of the world’s best. Grab your Pret-a-manger breakfast and find a spot on the grass near Bow’s Bridge where you can watch the couples in the row boats, who seem determined to have a rom-com worthy moment. Central Park is massive and you should see more of it if you’ve got time another day on your trip, such as the Jackie Onassis Reservoir a little further north. 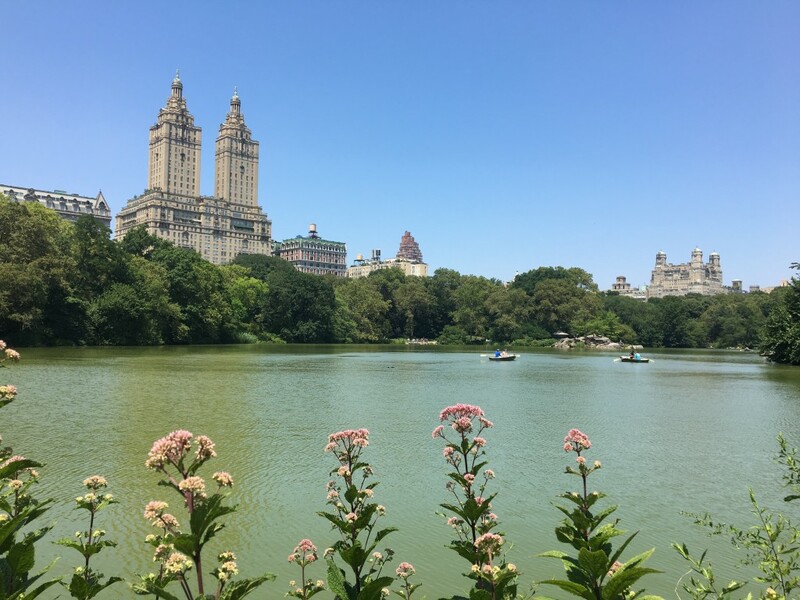 Start walking south through Central Park until you hit the edge of it – you should aim to end up on 59th Street and 7th Avenue where horse and carriage drivers will try to lure you in for a ride. Do not get distracted. 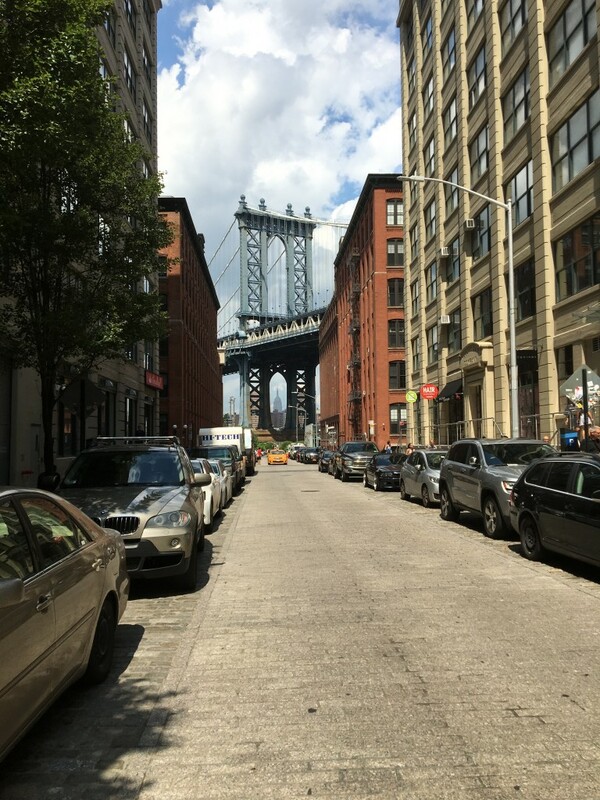 From here, you could walk the 12 blocks to Times Square if you want to soak up those city vibes, or save your legs and hop on the NRW subway line at 57 Street – 7 Ave station and take it one stop to 49 St. When you get out of the station, you won’t be able to miss Times Square. 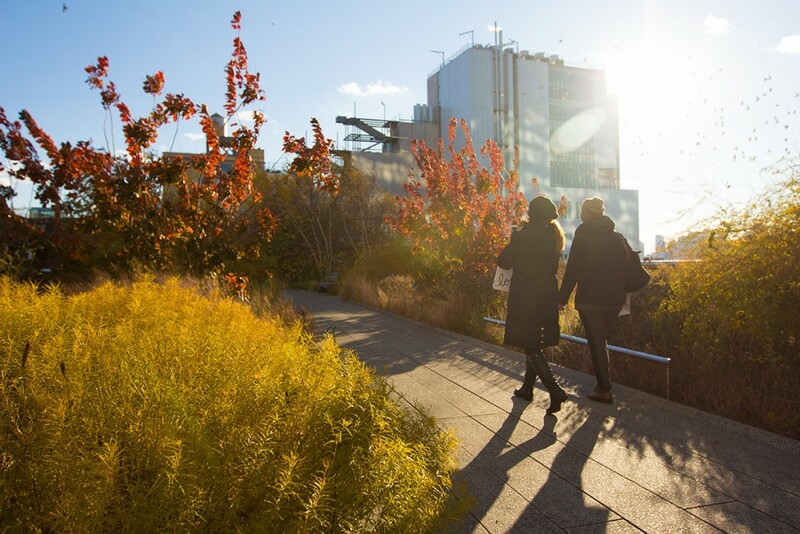 It’s less than half an hour by foot down 7th Ave and then right on West 30th Street (or 20 minutes on the subway from Times Square – 42 St to 28 St on the 1 line) to the very Instagrammable High Line, an old railroad that’s been transformed into an urban park suspended above the street, stretching from West 30th to the Whitney Museum of American Art in the Meatpacking District. Grab some sustenance from one of the food and drink vendors and make use of the many seats and benches to take in the view (and rest those weary legs). 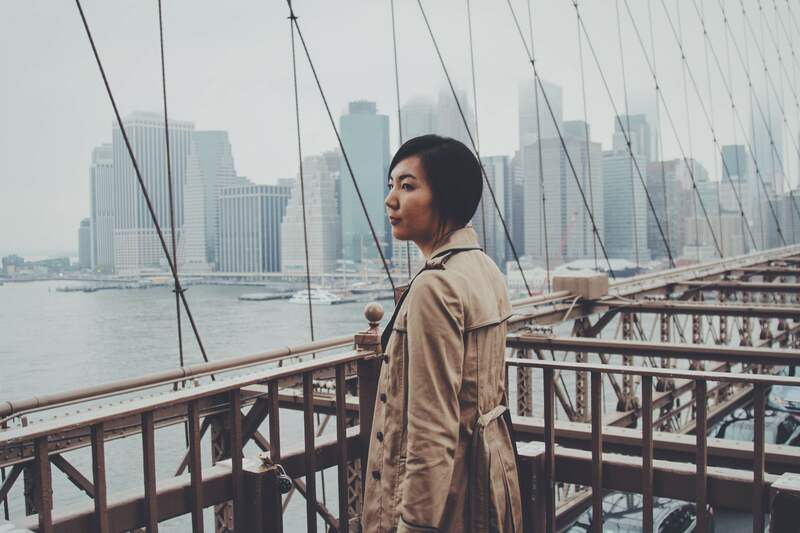 Take the C line from 14 Street Station to Chambers Street Station, and walk through City Hall Park where you’ll see – you guessed it – New York City Hall, and then the Brooklyn Bridge straight ahead. Marvel at this mind-blowing man-made feat, not to mention the view of Manhattan, which only gets better the further you walk along. 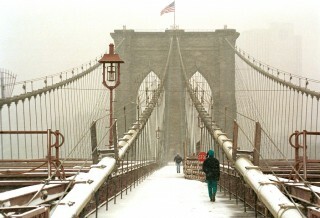 Make a left at the end of the bridge and head down towards the water and you’ll be in Dumbo, the waterfront Brooklyn neighbourhood where you’ll find incredible views of Manhattan and the Brooklyn Bridge, cobblestone streets and that popular Instagram shot of the Manhattan Bridge with the Empire State Building visible behind it. At the East River Ferry stop, buy a ticket to Pier 11/Wall Street. Nearby you can get a hotdog from The Brooklyn Hot Dog Company (their meat is non-GMO, and antibiotic and hormone free, which is good for your belly and your conscience). 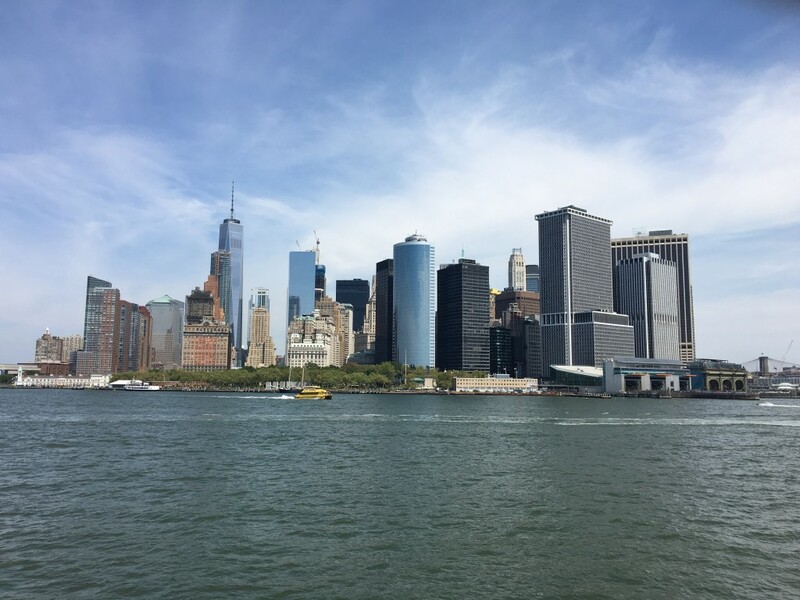 Once you’re on the ferry keep your camera at the ready; though the ride takes just a few minutes, it offers incredible views of NYC from the water. After disembarking from the ferry, head right, then on your left you’ll see the beginning of the infamous Wall Street. It’ll take you into the heart of the historical Financial District. If you have time the 9/11 Memorial is nearby, otherwise follow Broadway south past that iconic tribute to capitalism, the Charging Bull monument, and keep going down past Battery Park on the right until you hit the Staten Island Ferry terminal. The Staten Island Ferry is on pretty much every ‘things to do in New York’ list for a reason: it provides the perfect view as it goes past the Statue of Liberty, and looking back at Manhattan from the water as it departs and returns is goosebump-inducing. If you can time it for sunset, multiply the goosebumps ten-fold. All that for nothing but a subway fare (okay, and a ferry ticket). It’s a hell of a town. 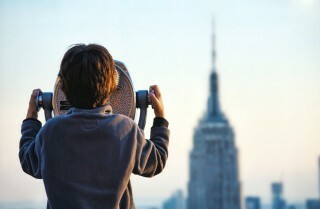 Check out Qantas flights to book your next adventure in NYC here.